The Governor of Chhattisgarh is a nominal head and representative of the President of India in the state of Chhattisgarh. The Governor is appointed by the President for a maximum period of 5 years. 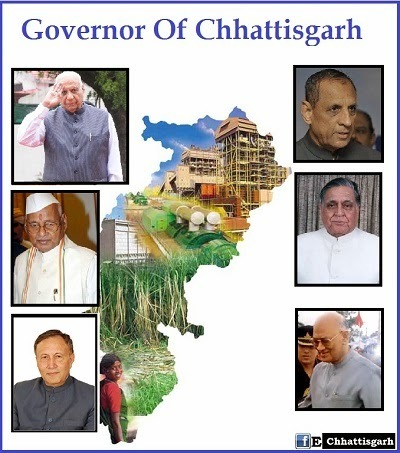 The current governor of Chhattisgarh, since 18 July 2014, is Balram Das Tandon. Balram Das Tandon (born 1927) is an Indian politician and the present Governor of Chhattisgarh.He is a pracharak of the Rashtriya Swayamsevak Sangh (RSS), and a leader of Bharatiya Janata Party from Punjab.